MAHARATNA oil explorer ONGC is likely to produce close to 25 billion cubic metres (bcm) of gas in fiscal 2018, the executives told international news agency Reuters. The forecast compares with 23.5 bcm in 2016-17, representing expected growth of about six percent. the country meet Prime Minister Narendra Modi's target of reducing hydrocarbon imports by 10 percent by 2022. India imports 70-75 percent of its energy needs. While gas makes up only 8 percent of the total energy consumed, almost 40 percent of it is imported. India prices its gas almost 60 percent below imported natural gas, so more cheap domestic gas could also bring down the cost of running stranded power plants and ailing steel mills that account for the biggest chunk of India's soured loans. ONGC is banking on the Daman offshore project to increase its natural gas output, which has been largely stagnant over the past decade. The project hit delays last year after its contractor, Singapore-based Swiber Holdings , ran into financial difficulties. "The Daman project is back on track. 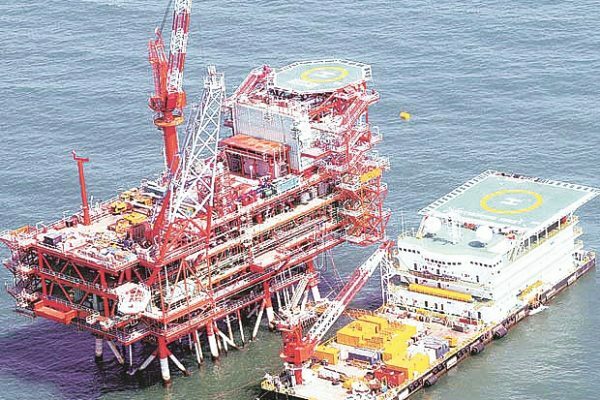 The gas from the phase I of Daman will be out by April end or first week of May," ONGC's Director - Offshore, TK Sengupta, told reporters earlier this week. The project should contribute almost 2 to 3 million metric standard cubic metres per day (mmscmd) of gas from May onward, he said. ONGC's prouction of gas accounts for about two-thirds of India's total natural gas production. "We had handed over the Phase 1 work for the project to the sub-contractors who are now completing it for us. The project is eight months delayed," Sengupta said earlier this week. Phase 2 will be completed by May 2018 when it will add another 3 mmscmd to the company's production. It will eventually be ramped up to 8 mmscmd by 2020, he said. ONGC is the largest producer of crude oil and natural gas in India, contributing around 70 percent of Indian domestic production. The crude oil is the raw material used by downstream companies like IOC, BPCL, HPCL to produce petroleum products like Petrol, Diesel, Kerosene, Naphtha, Cooking Gas-LPG. ONGC is India’s top energy company and is ranked 20th among global energy majors (Platts). ONGC ranks 14th in oil and gas operations and 220th overall in Forbes Global 2000. It is one of the highest profit-making and dividend-paying PSUs. Its wholly-owned subsidiary ONGC Videsh Limited (OVL) is the biggest Indian multinational in the energy space, participating in 36 oil and gas properties in 17 countries.